Say the Shema: Ayin and Dalet; The Last 4 Years of the Final 70. The two letters Ayin and Dalet have values of 70 and 4 respectively and are the two large letters found in the first and last words of the first verse of the famous Shema prayer, as it’s written in the Torah. It was Rav Brandwein, of blessed memory, who taught me that the final letters of words point to the future, and so not coincidentally, the numerical value of the words Shma (ShMA) and Echad (EChD), together meaning “Hear One) is 424, the numerical value of Moshiach Ben David (the Messiah). Moreover, the numerical value of all the letters between the the enlarged Ayin and Dalet is 704, clearly representative of 70 and 4. Nevertheless, if we add the Ayin and Dalet to that 704, we get 778, as in the final 4 years of the final 70 years leading to Moshiach Ben David (the Messiah) in 5778. B”H. Obviously, the sages were right in telling us to recite the Shma 3 times a day; it’s not only for protection and healing, but to connect us body and soul to Moshiach at the right time, in the end of days, and to set us on the right path as we enter the final 4 years of the final 70. 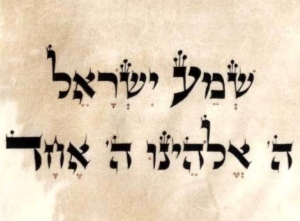 The value 704 is not only the value of the Shema’s middle letters, it’s also the numerical value of the Ana B’koach’s (42-Letter Name) middle line, the one that can give us the power of perseverance and that most importantly connects us to the brit (Covenant)of Moshiach. 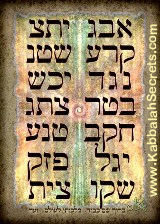 Moreover, the sages tell us these two letters AD which together spell the word for witness, represent the 2 witnesses. The two witnesses are often said to be Moses and Elijah, but let’s examine the word AD in relation to the Torah a little further before jumping to conclusions. AYN and DLT are integrally related: As noted above, the numerical value of AD added together is 74 and all the disparate words in the Torah that have the numerical value of 74 are found a total of 434 times in the Torah, which is the numerical value of the letter DLT (D), which itself is found 7032 times in the Torah. Then if we were to multiply the simple values of A (70) by D (4) instead of add them, we’d get 70 x 4 = 280, which is the numerical vale of the 5 final letters (MNZPC), the 5 final judgements, and as it just so happens, the word AD is found exactly 280 times in the Torah. Taken with the meaning of AD, we have both “until” the final days (judgments) and witness of the final days, etc. These 5 final letters, collectively called manzipach, are often connected to the end-times by the tzaddikim and are represented numerically by the letters PR (280), so it’s no wonder that they are found in the words Shofar (ShVPR) and Yom Kippur (CYPR), when our collective and individual judgment needs to be mitigated. This year the 3 Holidays representing the left, right and central columns of the Tree-of-life–Rosh Hashannah, Pesach, and Shavuot–will play a most prominent role in our preparations for the final days. Collectively, the initials of these 3 holy days spell our Shofar backwards (SH-P-V’R), but that we’ll develop more in a separate article. Moreover, the sum of the 22 Hebrew letter that would be permuted, as per the discussion above, is 1495 and if we subtract the value of the 5 final letters (280) from them we get 1215, less the kolel is 1214, once again as revealed by Rav Abulafia and connected to Ayn Dalet in the first article of this series, means the “permutation of the letters” and “70 languages”. In the Torah the word AD always connects with the final days and as we can see now, the final judgements associated with the end of days as well. Right after the earth was wiped clean in the flood (mubul, MBVL), the Torah recalls the story of the Tower of Babel in which the people united to reach Heaven on their own accord by manipulating the divine names and using the energy and angelic coding behind the Hebrew letters, permuting them if you will. In order to stop them, G-d took their language, Hebrew, away from them and split it into 70 different languages, thus scattering the people into 70 different nations. בַּיּוֹם הַהוּא, יִהְיֶה יְהוָה אֶחָד–וּשְׁמוֹ אֶחָד. Now, since 30 is the numerical value of the letter Lamed(LMD) which has the spelled out value of 74, the future Name YHYH from Zechariah’s verse of His Name being One relates to the large letters AD of the Shema’s first verse where it’s proclaimed that the Lord is One. Furthermore, the 4 letters of the future Name Yld-Hy-Yld-Hy spelled out have the numerical value of 70. This connection powerfully enhances the power of the Shema when we recite it, and even more evidence to strengthen this connection is found in an obscure but most revealing gematria algorithm. and (70 x 4)/(70+4) = 280/74 = 3.78378378..
Obviously these two verses were meant to be united, and to help us reach the final redemption in its appropriate time. And as Rav Berg, who confirmed this connection for me, always pointed out Echad Ushmo Echad has the same gematria as “loving and caring (Ahava Deaga), which is the real message we need to adopt. Time is speeding up and going in reverse as the Hebrew and Western calendars mirror themselves. The unity at the Tower of Babel happened shortly afterward the Flood (MBVL), which begins with the assignation of the 42-Letter Name (MB) and has the numerical value of 78. As things rush backwards towards the original tree-of-life reality, we need to achieve that unity first, then the cleansing (Flood). Today, we desperately need to find unity. Through modern technology, we’ve been given tools whereby everyone can nearly instantaneously know everyone’s thoughts, no matter how mundane or profane they may be. 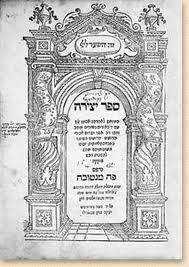 And ever since Rav Berg, of blessed memory, opened up the floodgates of Kabbalah to the world, the ancient technology has been spreading like wildfire, drawing us back to the One Hebrew language and the knowledge of how to permute the letters. Encoded in the first verse of the Torah is not only the powerful Ana B’koach prayer/meditation, but the same 1214 numerical value of “70 languages” and “permutation of the letters” twice. The complete value of the Torah’s first 9 letters less the kolel of 1 also equals 1214, as does the 11 unique letters utilized in constructing that same first verse. Abraham, in his Sefer Yetzirah, called the Hebrew letters building blocks, and like Mindcraft, it’s through the permutation, recombination and reconstruction of these letters that we can build a city and a tower to span the 70 sefirot between Heaven and Earth. Nevertheless, if you don’t think there is an energetic link between the 70 sefirot or at least the number 70 and the Hebrew letters consider this: the natural log of 70, or LN (70) = 4.248, and the sum of the spelled-out names of the 22 Hebrew letters is likewise 4248. And let’s not forget that 424 is Moshiach Ben David. According to HaRav Berg, of blessed memory, that tower, that unity, must be built on love. It’s scaffolding would be the 42-Letter Name of G-d, known as the Ana B’koach, a seven (7) rung (70 sefirot) matrix or ladder to Heaven, whose first verse is numerically equivalent to that of “Unconditional Love” and to Moshiach Ben David in its complete form (including its ordinal values). As Rav Brandwein explained, it’s through the understanding of the 42-Letter Name of G-d that the geula (final redemption will occur. The Torah illustrates repeatedly that energy is never lost and that just as a number represents the energy in all the integers leading up to it, so do the Hebrew letters (ie. Bet includes Alef and Bet and Gimmel includes Alef, Bet and Gimmel). So it’s telling that the sum of 22 letters when each is take as a sum of all the values of the letters leading up to it is 6200 or 10 x 620, the numerical value of Keter, the highest sefira (dimension). 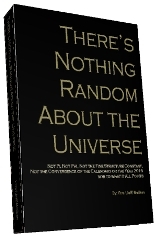 And it’s even more telling that the square root of this sum, 6200, is 78.7400… As illustrated in There’s Nothing Random in the Universe, G-d’s messages are extra redundant, leaving us little opportunity to miss them, or excuses. Concerning the 11 unique letters of the Torah’s first verse they connect to the 11 sefirot, including the all-important upper sefira DAT), the 11 incense, and the 11 dots, the last in a series of the 10 sets of extraneous dots found above certain letters in the Torah. Germaine to our discussion, this set of 11 dots ends with the word AD, of numerical value 74 and begins with the letter Lmd, also of numerical value 74. The value of all the letters beneath those 11 dots is 314, the numerical value of Mettatron, and when the ordinal value of the letters is also considered, its 422. 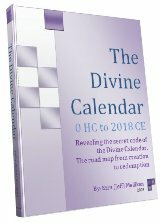 As explained in the book, The Divine Calendar, 422 is the numerical value of the word seventy(70) and also the year the the First Holy Temple was destroyed, -422 BCE and thus reflective of the year the Second Holy Temple was destroyed in 70 CE. Now, the word AD in gematria atbash, which is a common Kabbalistic cipher that reverses the Hebrew alphabet, is converted to TzK, of numerical value 107, which is significant because the sum of all the integers from 1 to 107 is 5778, while the sum of the logs of the integers from log(1) to log(74) is 107…. And the word L’AD, meaning forever–the place of endless life–is found 4 times in the Torah, and also has the gematria value of 107. All the paths lead to one point in our future only 4 years from now. All this means that the gates have opened and we need to commit now because in 5775 it may already be too late. 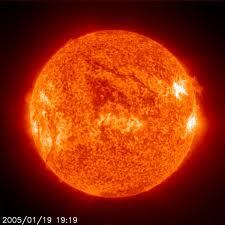 Think of this as a 5778 year journey to the Sun–fitting as the surface temperature of the Sun is 5778K. At a certain point, let’s say 4 years out, there’s no return; you’re caught in the Sun’s gravitation field, whether you’ve prepared for it or not. This is where we all are in time right now. Time itself is being sucked into the gravitational field and is speeding up substantially. There are 4 years left in this 4th period of 70 years that began with Israel becoming a nation. 70 years represents the 70 sefirot of the ladder of Zeir Anpin and Zeir Anpin is the aspect of G-d called YHVH. Because the 70 sefirot emanate from this 4-letter Name, meaning they sit at the head as the 4 top rungs of the ladder, the final 4 years correspond to the 4 letters of the YHVH. Remember, both the Hebrew letters and our numerical system represent energy values and types base on the base 10, 10-dimensional structure of our universe, agreed upon by both ancient modern physicists. The sum of the logarithms from 1 to 70 is 100.078 and 100 is keter, the supreme completion, so given that 100-74 = 26, the value of the YHVH, it’s safe to say we’ve entered the vortex. Once entered there is no turning back. With time speeding up, the distance between cause and effect is collapsing, leaving little margin for error. We have to be able to make the right decisions in the first place so our consciousness is crucial. So the question is do we have the consciousness that can find unity and build the tower to Heaven with love, the Future Holy Temple, or do we have the negative self-serving consciousness that rendered asunder the Holy Temples? How do we know it’s 4 years within the 70 that the Dalet and Ayin represent and not 70 plus 4 years from when Israel became a nation? We know it because when Jacob went down to Egypt in the 1st of the 4 exiles, the Torah tells us they were 66 family members just before it tells us and lists the full 70. There are 70 levels of understanding of the Torah and all are important; nothing is superfluous. According to innumerable tzaddikim, including Rabbi Chaim Ben Attar in Ohr HaChaim, “[the] numerical value being 78, [represents] three times the numerical value (26) of the four-lettered Holy Name. This was an allusion to eternal life, i.e. past, present and future. We have much to look forward to in our near future and much incentive to shift our consciousness now to that of unity and love, to Oneness. B’H it’ll be enough. I would very much like to hear how Chaggai connects to the 2018 timeline. It’s not surprising that it would and may be very important, so please feel free to share it. The 24th of Kislev plays prominently in Chaggai and is a powerful cosmic window opened every year so it may play a significant role for us in these next 4 years. As for ISON it may be sign of some sort; unfortunately, most signs are only recognizable to us in hindsight. It may also be nothing but a distraction, taking away from the significance of the Iran nuclear pact. Thanks for sharing and please let me know about Chaggai. Meshiach ben David does equal 424 though. Echad = 1 Add the kolel (1) to (410 + 13) and you get 424. There are two words though, which would make it by that accounting 425. Not to be argumentative, just trying to understand the variety of concepts adrift. Would you also not have to account using Kolel with Annointed Son David, being three words making the that 424 to 427? Previous Previous post: Every Year has Meaning; This Year, 5774, is Especially Telling. Next Next post: A Hidden Message Awaits Within.